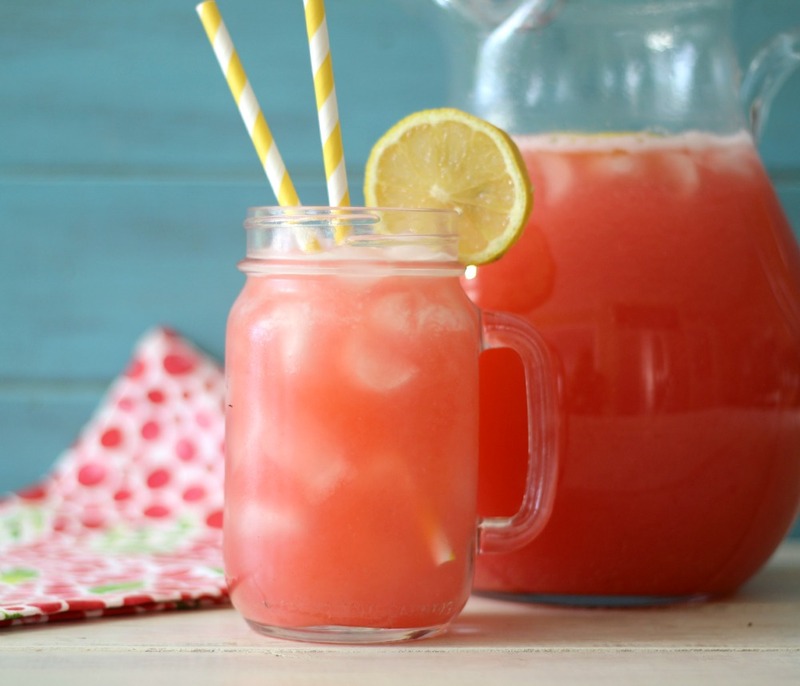 Today I normally share with you a smoothie for Smoothie Monday, but instead I thought I would share with you a summertime refreshing drink that is a breeze to make and will sure be a hit at your next BBQ. This is my Raspberry Lemonade! 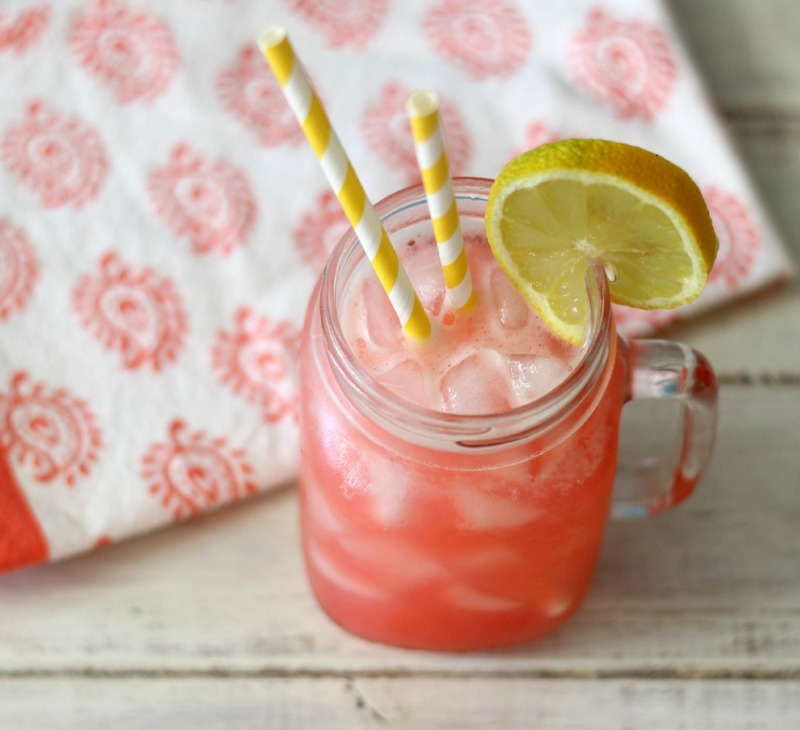 This lemonade is simply delicious! 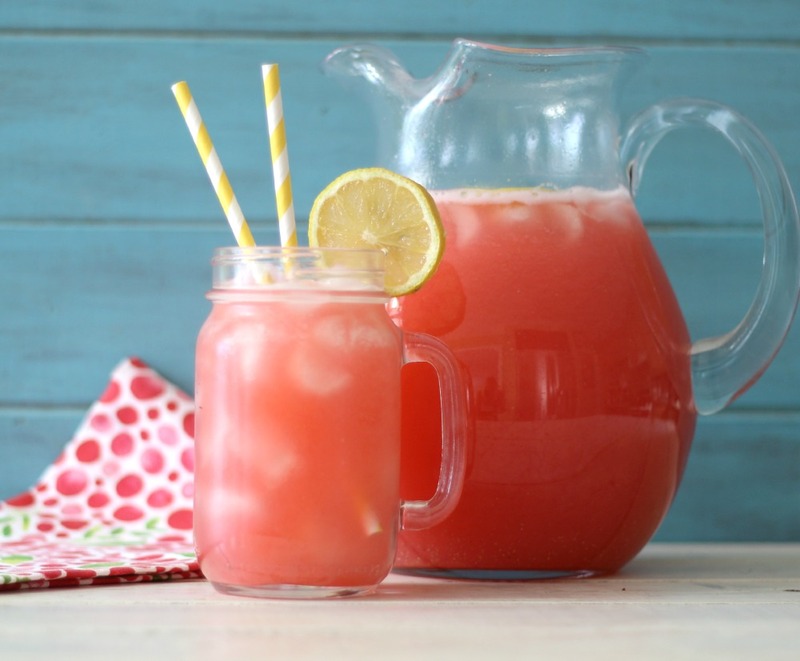 It’s light, refreshing, low-calorie and has the perfect balance of raspberry and lemon flavor. I also do not think it’s overly sweet, nor is it so sour it makes you pucker. I love it and when it’s hot out this drink really quenches your thirst. I made this lemonade by using fresh raspberries that I blended in my blender with water. To keep the seeds out I placed a sieve over my pitcher and poured the raspberry mixture in. I used the back of a spoon to push it through. I was asked how come there are not any seeds in the lemonade. I said it’s magic! Then in the pitcher I added 1 1/2 cups of lemon juice and 1/2 cup of fine bakers sugar. You can use granulated, but I have become a fan of Bakers Sugar. It’s so fine and dissolves quickly. Then I added my water! Simple and perfect! 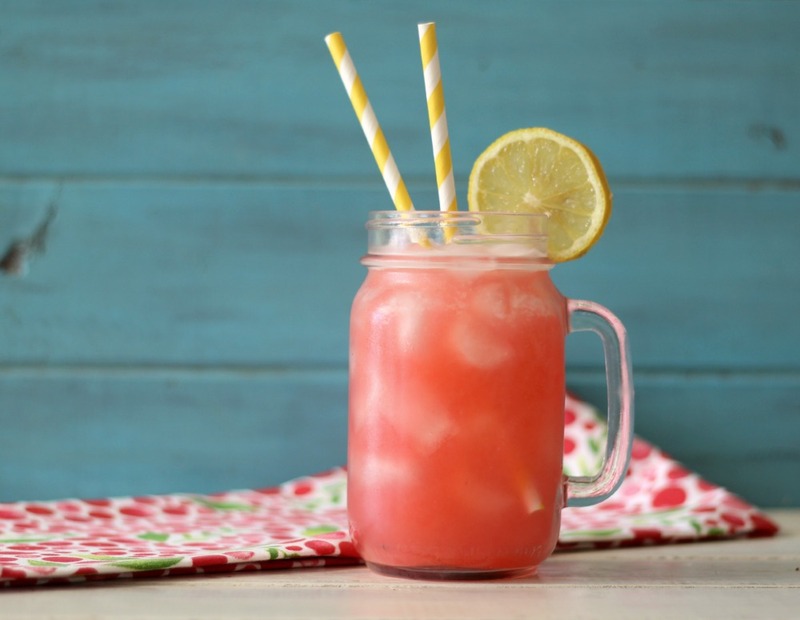 A light, refreshing, low calorie summertime drink made with fresh raspberries and lemons. In a blender, add raspberries and 1 cup of water. Process until blended. Put a sieve/strainer over a pitcher and slowly pour the raspberry mixture. Use the back of the spoon to push through. Add lemon juice, sugar and 7 cups of water. Stir until combined. Taste test to see if you need anymore sugar. refrigerate until ready to serve. 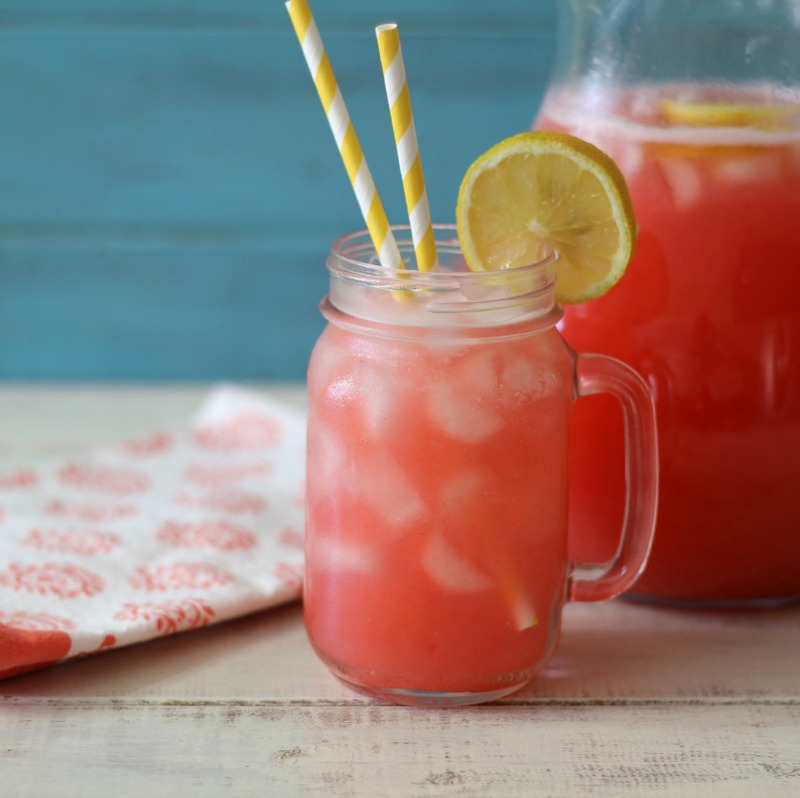 Sorry I didn’t share a smoothie recipe with you, but I thought this was just the perfect drink for these hot summer days! Have a super-duper great week! This is beautiful and sounds just perfect for a hot Carolina summer day! Thank you Chris! I would think for your Carolina weather a nice refreshing drink is much needed. Oh my goodness this drink looks so delicious! One glass of this would not due. I need a pitcher for myself! I have been on such a lemonade kick this summer! This looks so refreshing!